These antique electro-therpay devices were introduced in the 1800's as both home and professional medical devices to cure many illnesses and continued to be available until the mid 1930's when they suddenly disappeared from the market. These devices were the ancestors of todays modern parasite zappers and were well respected for their effectiveness for reducing certain illnesses. It is believed that they were forced off of the market by the AMA during the 1930's because medical professionals found that drugs were more profitable. Doctors who used electricity for any health problem were threatened with being called a quack and loosing their medical liscense. There are many similar electrical devices available around the world. They are still oppressed in the USA but are openly allowed in the EU, Canada, and many other countries. This unit was available in the late 1920's and early 1930's. 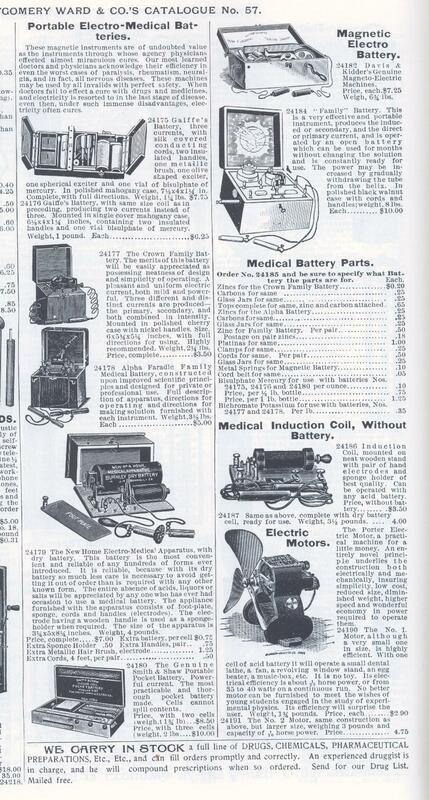 Partial page from copy of 1923 Sears and Roebuck catalogue, showing various medical batteries. 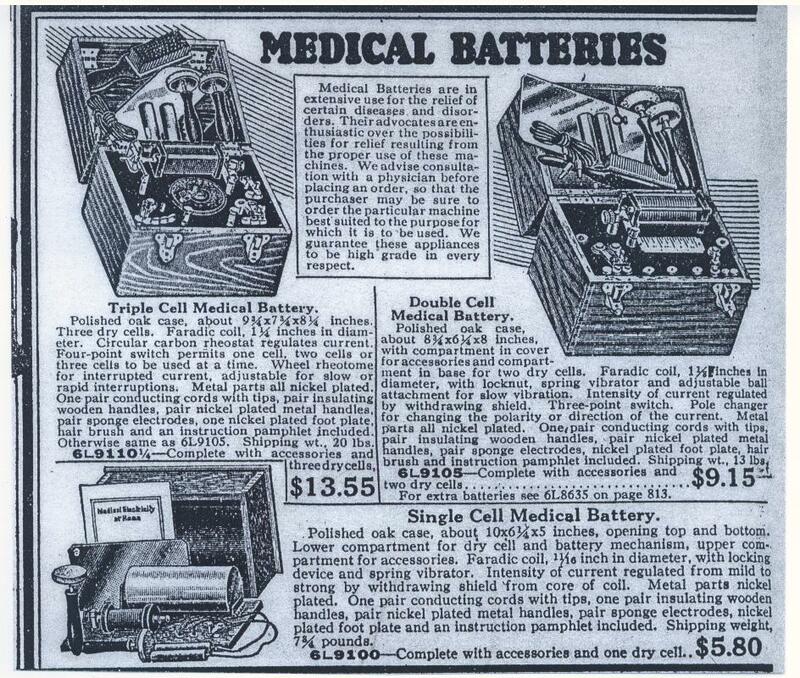 Page from copy of 1895 Montgomery Wards catalogue, showing various medical electric batteries. In actuality, electric batteries may have been used for medical purposes as far back as several thousand years ago. This page or its contents may not be duplicated, reproduced, copied, or distributed without premission.